Our sojourn is drawing to a close. Which is a fancy way of saying two more sleeps. A baby raccoon and its mom kept us company yesterday. You can just see them walking on the branch at the centre of the photo above. After sleeping all day, they came down last night to rustle in the plum tree, chirping to each other. The weather is stunning. River is warm with crayfish aplenty. Children sated with candy and sunshine. 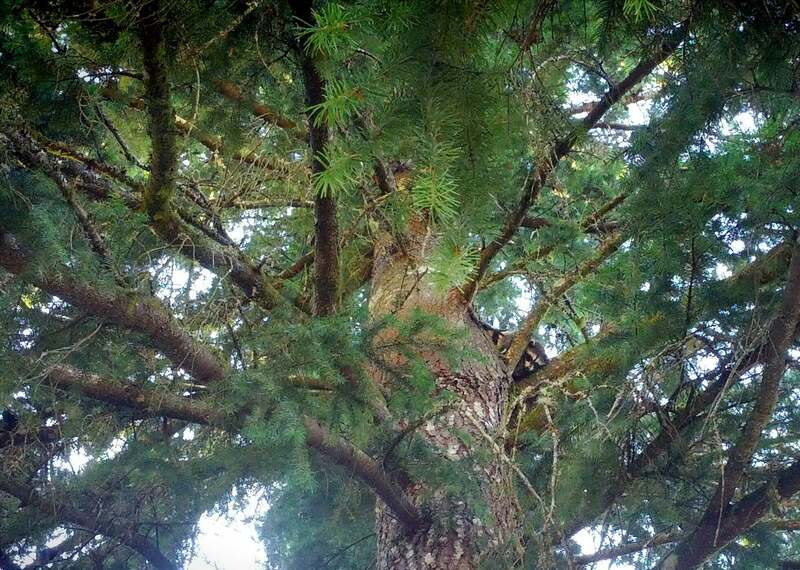 Here's the baby raccoon napping in the crook of the branches. 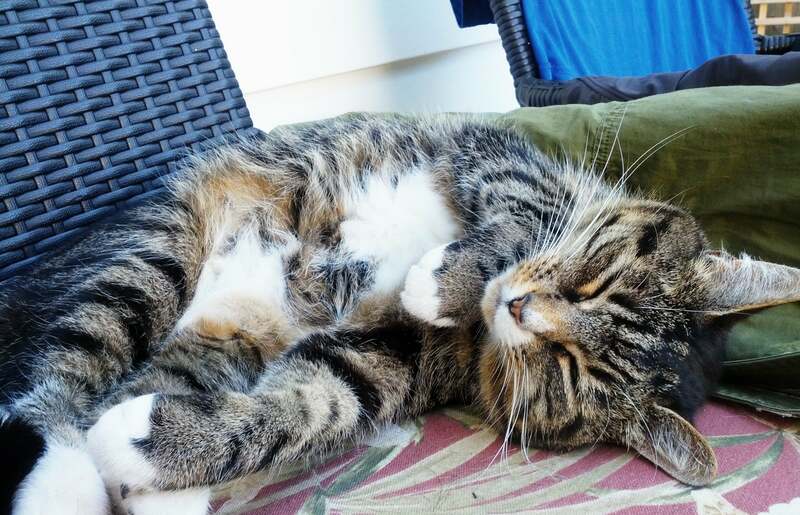 And if you drape your skirt over a patio chair to dry, a tabby will take a nap on it. Many knitting updates to come. New patterns in the works. 10 at last count. A big new mystery project in the works. And a very large sack of fresh Sweatermaker Yarns for kits.